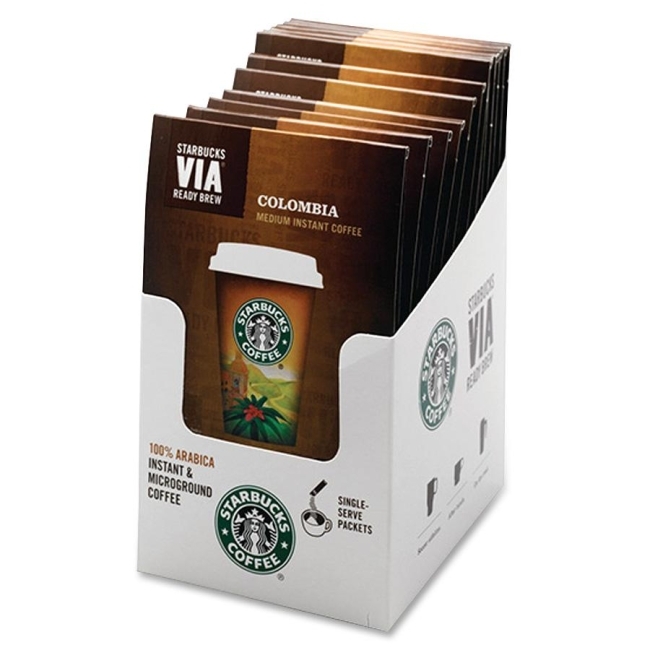 VIA Ready Brew Colombia Coffee delivers a medium-roasted, well-balanced cup of instant coffee that you can enjoy anywhere. Simply open the single-serve packet, mix with hot water, let coffee brew for 10 seconds and stir. Proprietary, all-natural process microgrinds the coffee in a way that preserves all of the essential oils and flavor. 100 percent Colombian Arabica coffee offers a rich, smooth taste, with that signature walnut-like taste found in great Colombian coffees.